The name Agave comes from the Greece language and stands for 'noble'. The Agave plant was by the original inhabitants from Mexico seen as a noble and mythical plant. Did you know that there are more than 300 types of Agave plants? And did you know that only one type of these Agave plants may be used to produce Tequila 100% Agave, namely Agave Tequilana Variedad Azul. 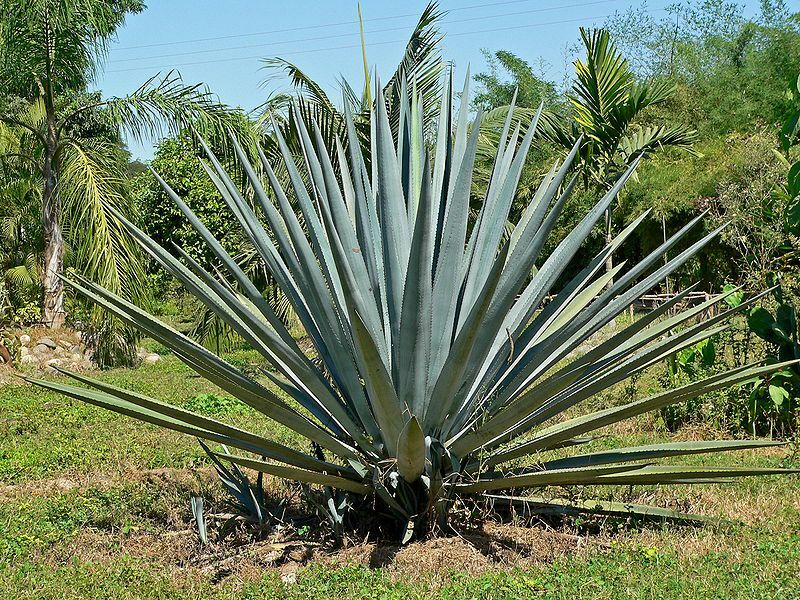 The other types of Agave are used for the production of other Mexican spirits like Mezcal; some producers add the worm who lives in the Agave to the spirit, Bacanora, Sotol and Pulque. The Agave plants belong to the family of the liles. Other plant experts classified the Agave also as family of the Agavaceas. The Agave plants do not belong to the family of cactus! When the Agave plant is mature for production the leaves will be removed by a professional craftsman, also called 'el Jimador'. The removal is handycraft and 'el Jimador' makes use of a special tool, also known as 'la Coa' . The Agave plant needs to grow 7 to 9 years before it is mature enough to be used in the production for Tequila. A mature Agave plant can become 1,50 to 1,80 meter tall. The blue leaves which grow on the Agave are called' pencas'. These 'pencas' are very sharp and contain needles. 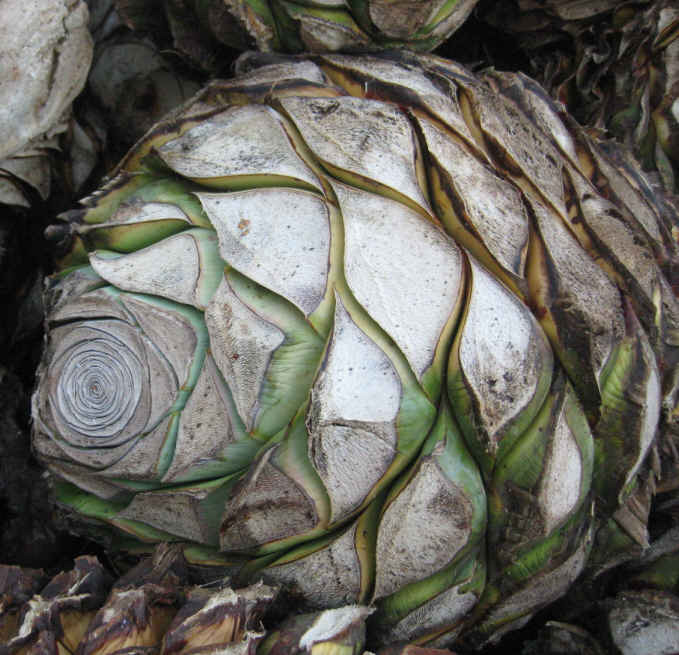 The Agave plant is fed via its roots with the nutritious minerals which the earth contains. But also by means of the leaves the Agave is fed with water and sunlight. After cutting the leaves the remainder is a spherical body, also called 'piña'. The weight of a mature 'piña' can be 40 to 60 kilograms. Only the 'piña' will be used for the production of Tequila.